I’m not sure who posted what where, but last week we got a real traffic boost and at least one new painter, so bravo. Feel free to share the link – there are literally ten’s of thousands of vampire sets of bone out there, and many of those painters are just looking for motivation to get their minis painted. 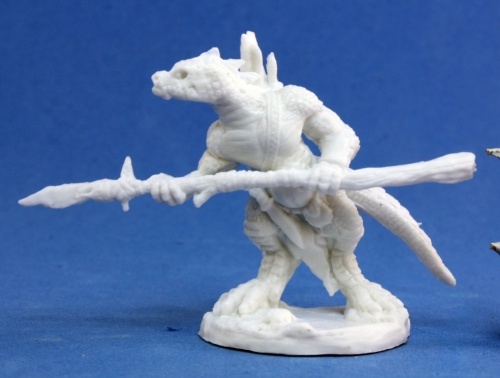 Darksword released a new range on Kickstarter with some lovely sculpts. Definitely worth a look. I was pretty happy with my mini this week until I , you know, looked at everyone else’s. I took some inspiration from Dirk and Antonia to do a little freehand warpaint, which I liked, but I think the whole thing turned out a bit dark, which I don’t much care for. Magnus delivered a bright and well blended mini. The color choices call to mind the action figures of my youth actually. New painted Jessi sent in something in the same ball park. Excellent job picking out the small details and embellishing the base! Arjen went all in on this one, producing what must be the angriest saurian of the week. I love the scales, especially the tail. I the tail is something I will aspire to replicate in next week’s mini. 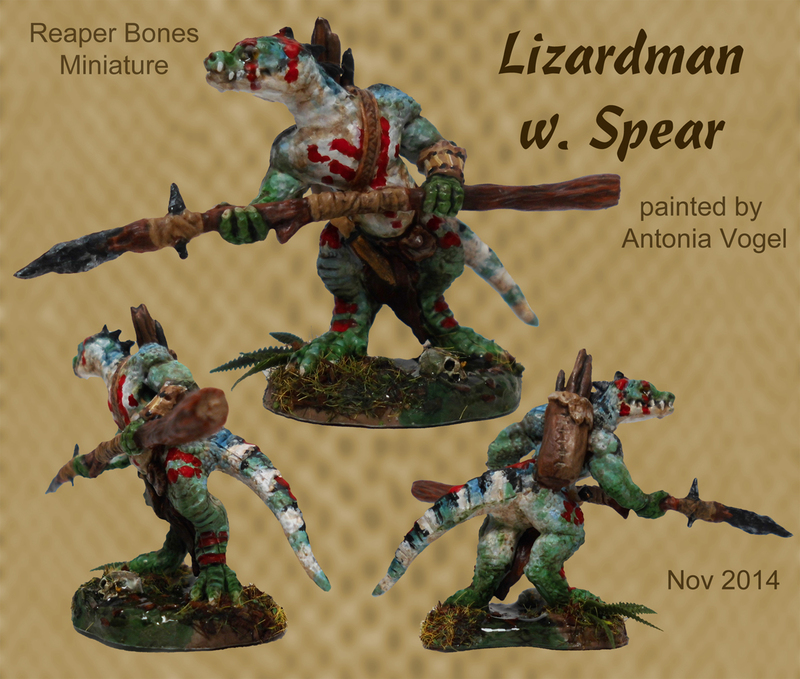 Antonia took her inspiration from tropical lizards, and just in case it wasn’t colorful enough, she added in warpaint. Even the base screams tropics – wonderful job. Wish I could have joined this week. Sadly it just wasn’t to be. I actually like David’s skin the most, although it is a bit hard to make out in the photo. Ugh, was out of town this weekend, so I didn’t get mine in on time, but great work again everyone! 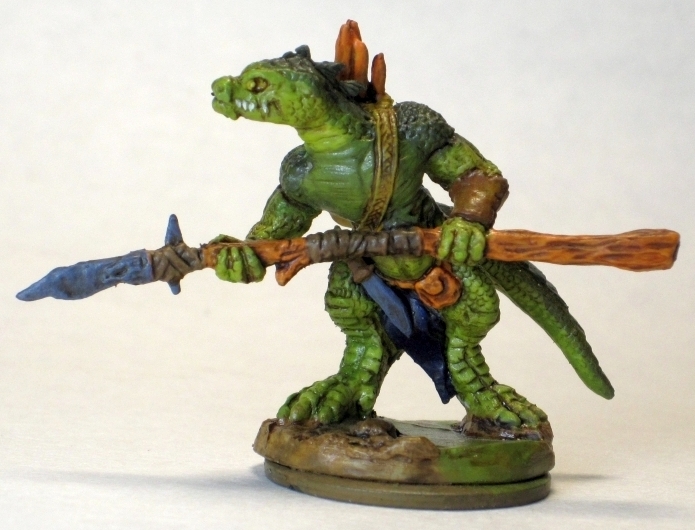 I like Magnus’ happy lizard, especially the way he handled the eyes. Haha! I had to look at it above, but I do kind of see the “anime eye” look. The eyes were an odd sculpt; it seemed like the eye socket was sunken further than the eyeball itself. I did indeed use Whiplash (from Masters of the Universe) as the basis for my figure. I thought he would go along well with Skeletor-Malek. The old figure had some pretty harsh color changes, which I tried to soften a bit to make it look more natural on the figure. I really like Antonia’s warpaint, it’s a brilliant idea! 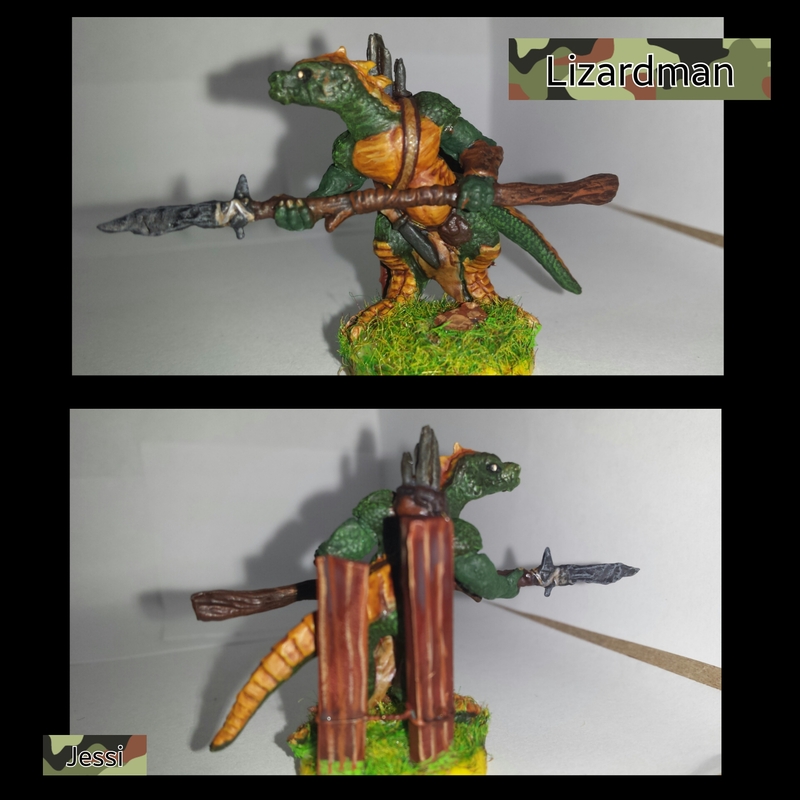 Magnus nailed the greens on his Lizardman! Great work! Thanks! I used some pretty sloppy wet-blending to… uh, blend. It’s fun to do when you have large spaces to work with, and reminds me of the little bit of canvas-painting I’ve done (just sort of playing with colors and making them interact).